In a major blow to the Tamil Nadu government, the Supreme Court today turned down its review plea to lift the ban centuries old Jallikattu or bull fighting in the state. A bench headed by Justice Dipak Misra said it found no ground for a review. The court in its 2014 judgement had said that bulls cannot be used as performing animals, either for Jallikattu events or bullock-cart races in the states of Tamil Nadu, Maharashtra or elsewhere in the country, and had banned their use for such events all across the nation. 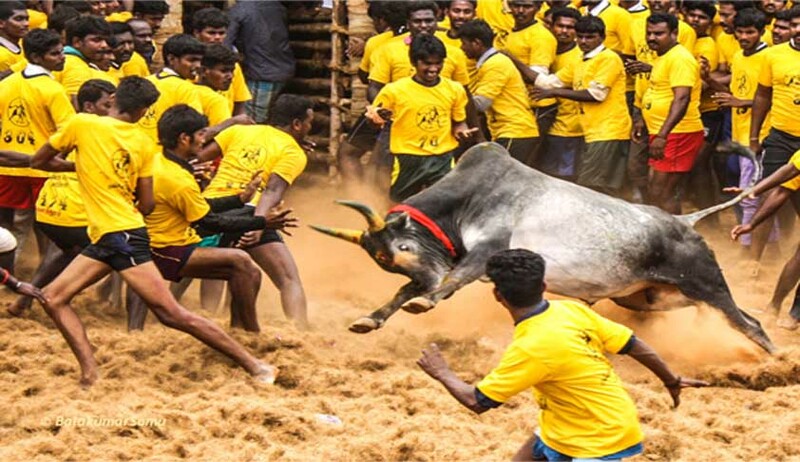 On May 7,2014, Upholding animal rights and pointing out the "untold cruelty" the bovines are subjected to, the Supreme Court had banned centuries-old Jallikattu-bullfights and bullock-cart racing- organised during festivals in Tamil Nadu and neighbouring states.